By 30 June each year, the Auditor-General is required to prepare and present to the Public Accounts Committee (Committee) an Annual Plan (Plan) that describes the proposed work program for the coming financial year (section 11 of the Audit Act 2008 (the Act)). 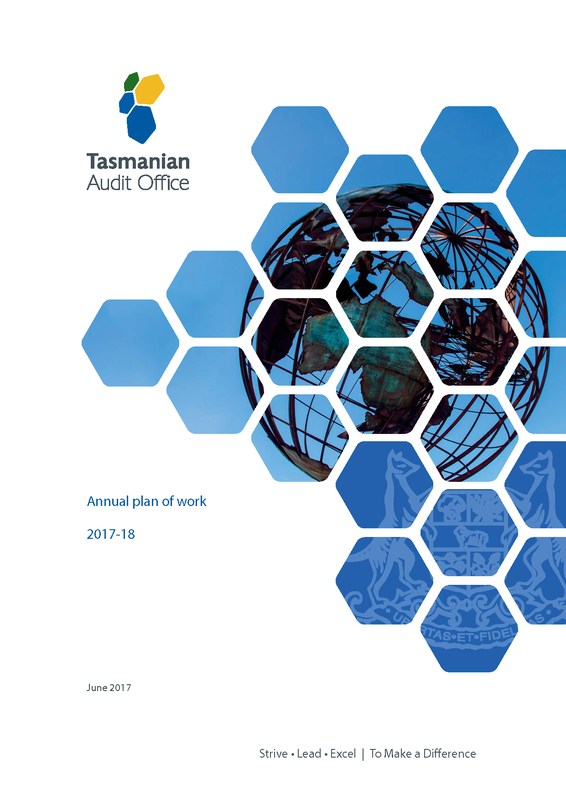 This provides the Tasmanian Parliament, the Tasmanian public sector and the community with an opportunity to understand our priorities and scrutinise our proposed work program for 2017–18 and 2018–19. The Plan is a key accountability document for the Tasmanian Audit Office (Office). It is the Auditor-General’s statement of intent on what we will audit or examine during the forthcoming years and the reports we expect to table in Parliament.